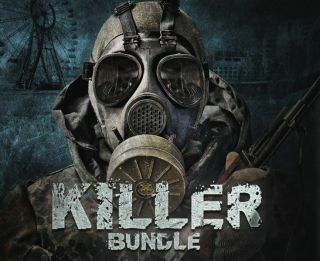 Not every game in the Bundle Stars Killer Bundle actually involves killing things, but if you've got five bucks you're looking to get rid of, this certainly isn't the worst way you could go about it. I'll be honest: Stalker: Shadow of Chernobyl may well be my favorite shooter of all time—it's certainly my favorite of the Stalker series, warts and all—and so an enterprising individual could package it up with nine copies of Minesweeper and I'd still happily pay a fiver for it. Fortunately, Bundle Stars has put a little more effort than that into the Killer Bundle: It also includes Fate: The Cursed King—which is actually a really good Diablo-style rogue-like—Demonicon: The Dark Eye, Pixel Piracy, Year Walk, Alone in the Dark (the 2008 remake, not the original), Albedo: Eyes From Outer Space, Kraven Manor, Loren the Amazon Princess, and Real Boxing. To each his own and all that, but if I may be so bold, I'd suggest that if you can't find a game in that mix worth five bucks, you're not really trying. The Killer Bundle is available now and will remain so until December 23.